PAWEL Wszolek was Rangers’ match-winner for the second time in 48 hours, as QPR recorded a 2-1 Sky Bet Championship victory over Ipswich Town at Loftus Road. Following our triumph by the same scoreline at Wolves on New Year’s Eve, Idrissa Sylla’s close-range rocket gave Ian Holloway’s Hoops the lead in W12. Ipswich equalised soon after the break – courtesy of Tom Lawrence’s 25-yard stunner – and looked the most likely to take all three points after that. But Rangers dug in and won it thanks to Wszolek’s latest winning goal in the 83rd minute. The Polish attacker showed good strength to race on to Nedum Onuoha’s ball over the top. He then rounded Town custodian Bartosz Bialkowski and slid home with the angle narrowing all the time. 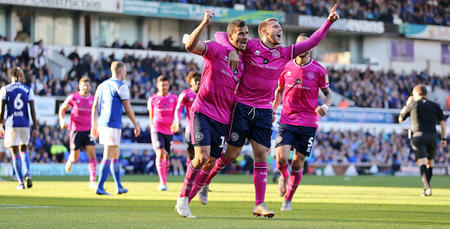 R's boss Holloway made two changes to his team for the visit of Ipswich, following the victory at Molineux on Saturday. Ariel Borysiuk and Jordan Cousins came into the starting XI, at the expense of both Sandro and Yeni Ngbakoto, who dropped down to the substitutes’ bench. Regular skipper Onuoha returned from suspension and was also named among the subs. So Joel Lynch continued to deputise as captain. Like at Wolves, the R’s lined up – in a 4-3-3 formation – as: Alex Smithies; James Perch, Grant Hall, Lynch, Jake Bidwell; Cousins, Borysiuk, Ryan Manning; Wszolek, Sylla, Jamie Mackie. Though chances were limited during the first 10 minutes, Rangers were certainly bright early on. QPR fashioned their first effort on goal in the 11th minute. Sylla’s low drive from 20 yards was comfortably collected by visiting goalkeeper Bialkowski. Ipswich’s maiden attempt came two minutes later, meanwhile, as David McGoldrick flicked a header over from Lawrence’s free-kick delivery. McGoldrick then went a bit closer in the 15th minute. The striker’s powerful, low shot from inside the box was tipped around the post by Smithies. Opportunities dried up somewhat after that. In truth, the first half became a bit of a scrap. But the contest was brought to life when Rangers opened the scoring on the half-hour mark. The visitors failed to deal with Perch’s long throw into the box and, when Ipswich’s Christophe Berra helped the ball on to Sylla on six yards, he impressively thundered home on the volley for his six goal of the campaign. Unfortunately, Sylla was forced off just eight minutes later. He came off worse following an aerial tussle, so Conor Washington came on in his place. The lengthy break in play while Sylla received treatment appeared to disrupt Rangers a little. That being said, Ipswich created very little for the remainder of the opening period, as Holloway’s men went in for half-time with their one-goal lead intact. Town captain Luke Chambers wasted a good chance in four minutes of first-half stoppage time, lashing well over from 10 yards following a knockdown in the box. But parity was restored just three minutes after the interval – and what a goal it was to level matters. After tidy passing football from Ipswich, Lawrence took two touches to set himself – from Cole Skuse’s pass – before leathering an unstoppable 25-yard effort past Smithies and in off the left-hand post. Ipswich almost added a second goal only two minutes later. Brett Pitman found space inside the box, though the forward was denied by Hall’s brave block when he eventually got his shot away. Chances continued to flow after the equaliser. For Rangers, Washington’s drive – following Manning’s clever reverse ball – forced a smart block from Bialkowski in the 52nd minute, before Borysiuk sent a distance drive past the post straight after. At the other end, meanwhile, Smithies fashioned a fine low save a minute later to keep out McGoldrick’s fierce effort from inside the box. Holloway used his final two substitutions in minutes 58 and 69. First, Onuoha was introduced at the expense of Borysiuk, before Manning made way for Nasser El Khayati. Sandwiched in between those changes was another excellent reaction stop from Smithies, who denied sub Grant Ward following the winger’s run and subsequent 10-yard shot. Admittedly, Ipswich enjoyed the better of things for much of the second half and, 12 minutes before the end, the visitors almost took the lead on the counter attack when Rangers surrendered possession in their own half. Fortunately, though, goalscorer Lawrence blazed over when the ball was eventually worked to him 12 yards from goal. Five minutes later, McGoldrick also squandered a decent opportunity from a similar distance, curling over after Lawrence’s left-flank centre. 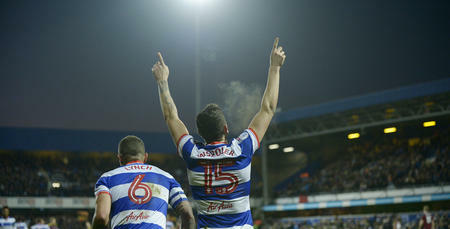 However, despite all of Ipswich’s pressure in the closing period, QPR struck again seven minutes from time to clinch the win. Onuoha’s clipped ball forward saw Wszolek use all his strength to outmuscle his marker, before the Poland international kept his cool to round Bialkowski and slide in from an acute angle. VIEW over 10 minutes of action from QPR's first game of 2017 against Ipswich Town.